Shrimp paste is rolled up by four different layers of pepper. First layer with sweet pepper, second layer with green pepper, third layer with pickled pepper and fourth layer with chili. 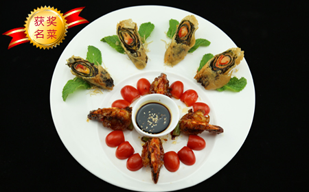 Accompanied with a special sweet and spicy sauce, the complication of 'HOT' experience makes this dish so memorable. "Symphony of the Vegetable" is a special vegetarian dish using expensive materials such as import morel mushrooms, vegetarian abalone, taro, etc... This one dish actually requires different cooking methods including steam, frying, boiling deep-frying... The complication of cooking methods for this dish indeed deserved gold medal. 2004 Grand Cuisine Awards "Bronze"
It took 6 months to develop this dish because of the complexity of using more than 10 different kinds of cheese/butter. 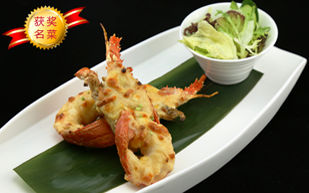 This is a 'must' dish at Rainbow as it maintains the freshest texture of the lobster meat itself and filled with the richest taste of first-class cheese and butter. 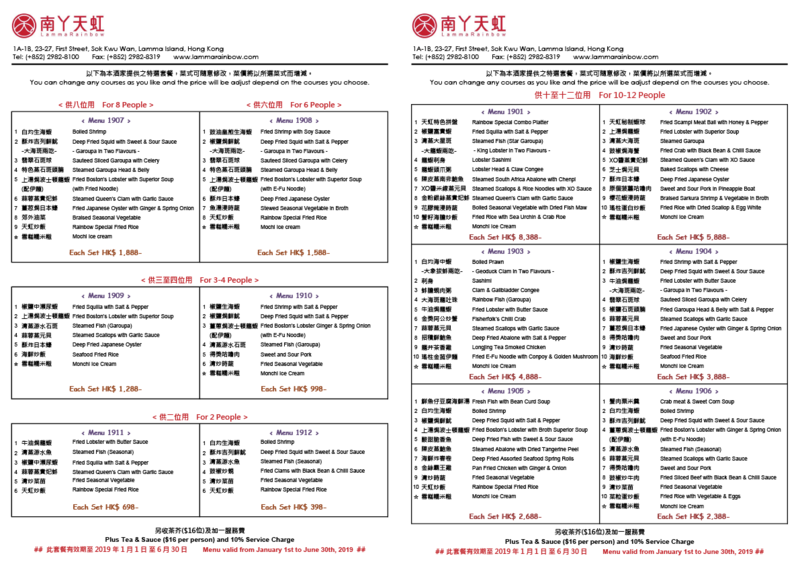 The Sweet and Sour Pork by Rainbow Restaurant is definitely a special cuisine as it is listed in the 10 top dishes, and honored Merit Prize, out of hundreds Pork Category entrances. We use the most tender portion of the pork and WOK fried it with fresh pineapple, topped with special sauce which contains fresh fruit juice that makes the taste exceptionally fresh and fruity. 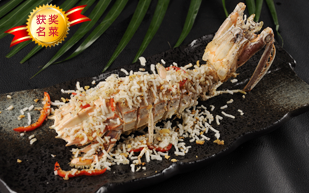 Rainbow Crabs in secret recipe was inspired from our Cuisine Creative Group during their dish trial process. 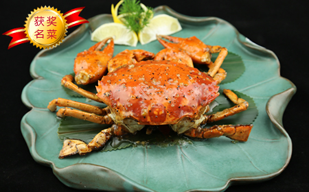 Cooked with our special recipe by using honey and black pepper as seasoning, the crab gives out an even fresher taste. This dish was first introduced to diners in 1999 and won an all-round applause from them. 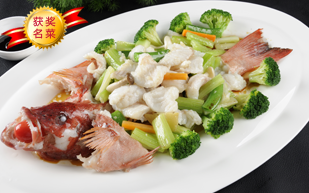 The dish was nominated in a competition organized by the Hong Kong Tourist Association, and has won the Gold Prize Award.